Self-Improvement at Smash is simple; you just have to show up. You’ve already decided that you needed to improve when you signed up, so what is there to think about? Don’t even think about it. If you consider going to the gym you can talk yourself out of it. There is always an excuse if you’re looking for one. Show up mad; show up tired; show up when there is traffic; show up when you don’t feel like it. Just show up and we will take care of the rest. Do it now or you’ll wish you did later. If you show up consistently and do what the Instructors ask of you, you will be surprised what you can accomplish. Let’s be honest, if you don’t show up it won’t change our life. If you do show up it will make a big positive impact on your life. We’ve been told this and thanked over and over by the people that showed. At Smash you will relieve stress, get in shape, meet friends, gain knowledge and skill, and be inspired you to do what you never thought you were capable of doing. Commit to making a change in your life. You deserve it and we’re here to help. 43 year old Jess Ramos lost 51 lbs by participating in every class at Smash! He takes BJJ, Kickboxing, Yoga, Strength & Conditioning, Self-Defense, Bootcamp & Kettlebells. Jess won the Jiu Jitsu US Open just one year after joining Smash! When he started Smash he was 187lbs and competed at 136lb weight class! Most of our students choose not to compete but Jess had made such amazing progress that he decided to test himself at one of the toughest jiu jitsu competitions in the US and brought home a Gold Medal! In this old video Smash Gyms Head Instructor Michael Jen speaks about creating postural deviations while applying an armbar in Jiu-jitsu, grappling or MMA. Michael, who received his black belt from Joe Moreira 10 years ago, has long been known as one of the most technical BJJ Instructors in the world. 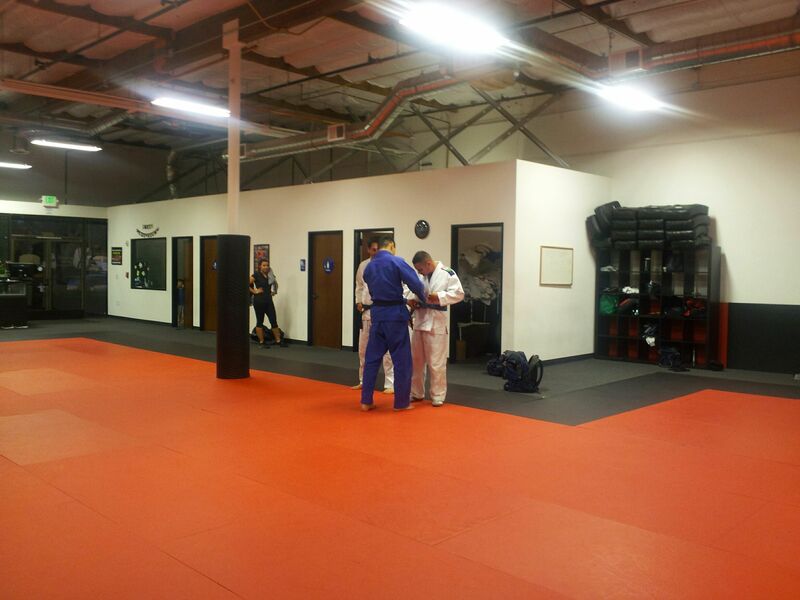 Michael teaches BJJ at Smash Gyms located on the border of Santa Clara and Sunnyvale. Smash is located just 5 minutes from Rivermark Plaza and Mercado Shopping Center in Santa Clara! Smash Gyms – The Home of CCS Wrestlers! 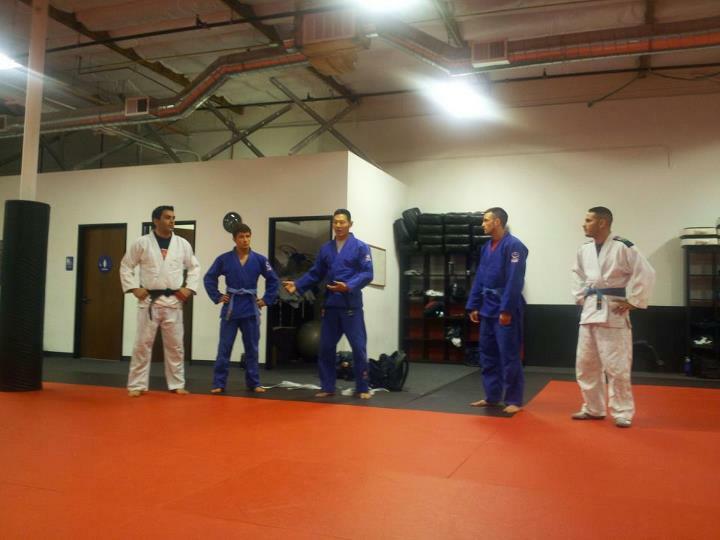 Smash Gyms Head Jiu-Jitsu Instructor Michael Jen promoted some very tough competitors to Blue Belt this week! 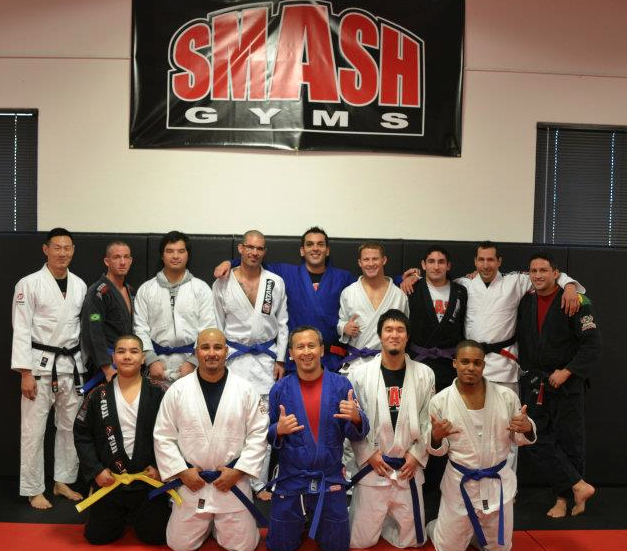 Smash Gyms is the best place for CCS wrestlers to make a successful and fun transition to BJJ. Many former Bay Area wrestling stand outs have made Smash their home to learn Brazilian Jiu-Jitsu and see old friends from the wrestling community. It is a great opportunity for all Smash members to have elite level athletes help them with their wrestling while the Smash BJJ team and instructors help the wrestlers expand their grappling knowledge. 7pm Monday nights at Smash, 4x California State Finalist Jacob Palomino leads our wrestling class! Following Jacob’s class, open mat is often full of wrestlers drilling their takedowns. Smash Gyms in Sunnyvale would like to thank everyone that attended the Smash Gyms Holiday Party and Potluck! We had a full house, tons of great food and lots of fun. Head Brazilian Jiu-jitsu Instructor Michael Jen awarded some much deserved belts! Sam Jung – Sam Jung is one of our most dedicated and fastest rising students! He earned his blue belt in less than a year! Smash Gyms also presented Jacob Palomino with an award for his contributions to our Brazilian Jiu-Jitsu and wrestling program. 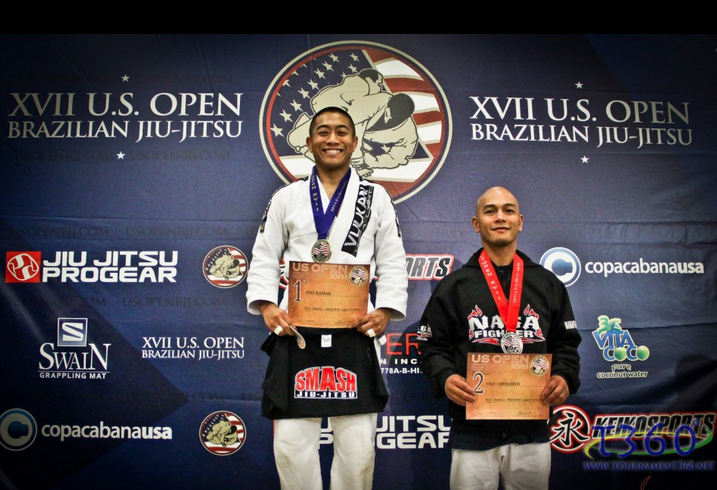 Jacob represented Smash Gyms while winning a Championship at the Brazilian Jiu-jitsu US Open in San Jose, California. He also tirelessly helps people in our grappling program learn his sophisticated and technical system of wrestling that he perfected on his way to becoming a Four-time California Wrestling High School State Championships Finalist. 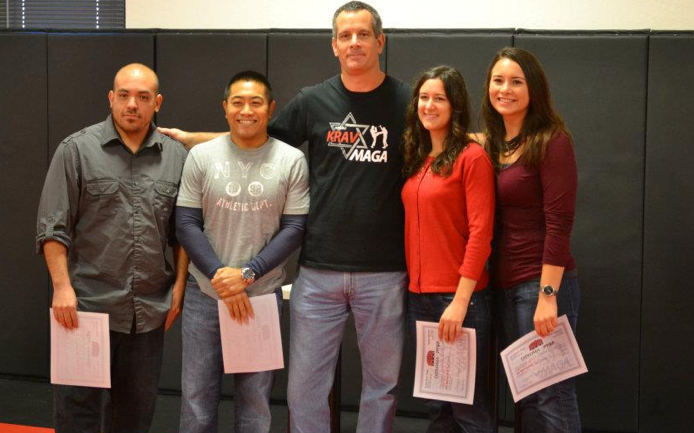 Head Smash Gyms Krav Maga Instructor, Opher Har-El awarded Level 1 Certificates to members of the Krav Maga program. This realistic system of fighting with a focus on self-defense is taught by the 28-year practitioner . Opher teaches the true Krav Maga system he learned in the Israeli Military and his students feel privileged to be of such an authentic lineage. Also three awards were given to some of the most dedicated and consistent members of the Smash Gyms fitness program SmashFit! These three young ladies consistently participate in up to 3 classes a day! That’s 3-4 hours of training 4-5 days a week! Amazing effort and dedication! All our students from Milpitas, San Jose, Santa Clara, Mountain View and all around the bay area had a great time! After only being open since January Smash Gyms Brazilian Jiu-Jitsu won the Team Championship at the San Jose Open on July 30th 2011. Smash Gyms competitors won eight Gold medals, two Silvers and Two Bronze medals today at Independence High School in east San Jose. 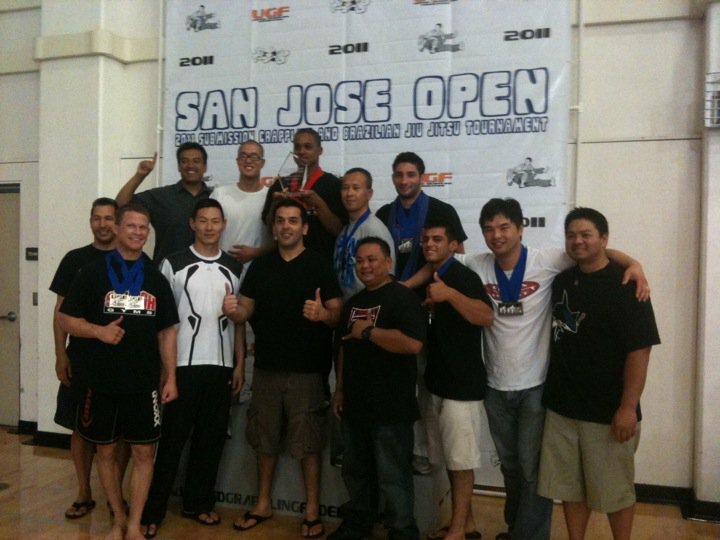 Smash Gyms took home the San Jose Open BJJ Team Trophy in one of our first tournaments as a team. Amazing performance by all the competitors! Many schools combined in an effort to gain more points to win the team trophy but since every one of our competitors medaled in the event we were still able to win the team trophy with less than half of the competitors of some other schools. Bay Area Brazilian Jiu-jitsu schools from San Jose, Sunnyvale, Santa Clara, Mountain View, Milpitas sent competitors. There were also competitors from all over California. Smash Gyms grapplers included Sam Spengler, Eli Sanchez, Javier Martinez, Ruben Paredes, Patrick Kong, Rogelio Morales, David Armstead, Harry Handano, Sam Jung!